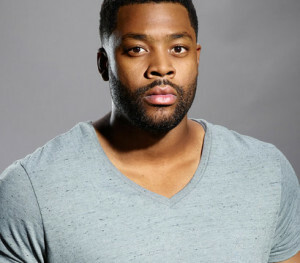 Hawkins, who first originated the role in “Chicago Fire,” is an accomplished standup comic, spoken-word artist and musician. He had a role in the feature film “The Express,” which chronicled the life of Ernie Davis – the first African American to win college football’s coveted Heisman Award. He has appeared on stage in “By the Way, Meet Vera Stark” at the Goodman Theatre in Chicago, “Hoodoo Love” at the Athenaeum Theatre in Chicago, “Ma Rainey’s Black Bottom” and other legit productions.